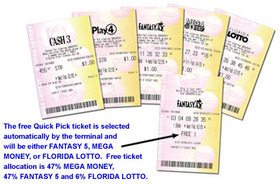 The state of Florida offers Florida Lottery and is a government run organization. There are a number of games to play that can be played online and there are the typical scratch-offs that we all love trying our luck at. Players these days have a wide array of chances to win money, and there are different levels of prizes. The Florida Lottery has seen much growth and continues to add variety to its portfolio. It was formed in January of 1988 and continues to grow. The lottery has even experimented with higher process and they have changed up some of the traditional games and they even bring seasonal promotions during holidays. The Florida lottery has become the 3rd ranked state in annual revenue at about $4.45 billion. The initial game that was offered in the lottery in Florida was Millionaire, and this was a scratch-off game that cost $1. The annuity was $1 million and total sales in the first 2 weeks alone were $95. On September 3, 1988 Sheelah Ryan won a lottery jackpot that was the largest in the world at that point which was $55.16 million. She became the 10th winner in the State of Florida. However, because the cash option was not in effect yet, she died before she was able to receive her winnings. This is drawn daily during live TV around 1:30 PM ET. The evening drawing occurs at 7:57 PM ET. There are 3 ball machines and each one has balls that range from 0-9. One ball gets drawn from one of the machines and any person who matches all three numbers in any order wins up to $500. Playing Cash 3 is simple. You.ll get a Cash 3 playslip at a local authorized Florida Lottery retailer. There are 5 panels on each playslip. You select the amount you want to play: either 50 cents or a dollar. You.ll select the play type you want: Box, Straight, 1-Off, Straight/Box, Front Pair, Back Pair, or Combo. You.ll then choose 2 numbers from each of the columns or you can choose the Quick Pick option. This is where a machine randomly chooses 3 numbers for you. You'll choose a draw time. Select MID for the midday drawing or EVE for the evening drawing. You can also choose BOTH and in this case, you.ll get two separate tickets. This is drawn daily as well immediately after the Cash 3 drawing. It.s played the same way except there are 4 balls drawn instead of 3. Matching all 4 numbers again, in any order, wins $5,000. There are now a few more ways to play that involve more tickets and multiple-number tickets. Play 4 is where you will choose any 2 or 4 digit number from 0000 to 9999. You can have the same digits or use different ones. You then choose what your play amount is from 50 cents to a dollar per play. You can mark your own slip or you can have the retailer do it for you. Each playslip has 5 panels. If you want to use a playslip you choose the play type, the draw time, the play amount, and the number selection. You can also go the Quick Pick option. If you don.t pick a time then the ticket is automatically entered into the next available draw. This is drawn daily around 11:15 PM ET. One ball machine is utilized and the balls range from 1-36. There are 5 balls drawn and any person who matches all 5 in any order wins or shares the prize of about $200,000. When it first came out, if no ticket matched all 5 numbers, the pool rolled down to matching 4 of the 5 numbers. Select any 5 numbers from 1-36 or you can mark the Quick Pick box. This allows a computer to pick your numbers for you at random. You can also choose the EZmatch box and this gives you a chance to win instant cash. You can check off the EZmatch box in the upper left side to add this to all panels. 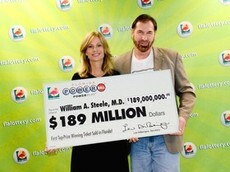 Powerball has become one of the many favorite games of the Florida Lottery. The jackposts start at $40 million and each rollover results in the jackpot getting higher. This allows all players to win a lot of money for a mere $2 that it costs to play. Playing is simple. Select any 5 numbers ranging from 1-59 in the upper area or you can choose Quick Pick. Select your number for Powerball ranging from 1-35 in the lower area or again you can use the Quick Pick option. You can choose the Power Play box and this will allow you to win as much as 4 times your non-jackpot prizes. This is going to cost $1 more. You can play the same numbers for more than one day and you.ll just need to tell the retailer the number of draws you want those numbers played for. The drawings for Powerball are done on Wednesdays and Saturdays at 10:59 p.m. EST. If you are a winner, you will need to claim your prizes within 180 days. Florida Lotto in addition with Xtra allows players to find a number of reasons to try their luck. Players can win non-jackpot prizes by anywhere from 2-5 times more for a mere $1 to play. Select 6 different numbers ranging from 1-53 or you can use the Quick Pick option. If you want to multiply what you win choose the Xtra box on the slip. This will cost $1 more and this is going to apply to all panels. You can decide to play the same numbers for more than a single drawing and you.ll simply tell the retailer. You can also select the amount of draws in the playslip section called Advance Play. This is drawn every Tuesday and Friday at 11:15 p.m. ET. The jackpots for Mega Money start at about $500,000! There are cases where this can go as high as $2 million! Once it reaches this high though, the pool begins to roll down to help increase the chances of someone winning. This increases payouts as well. You will pick up a playslip at any Florida Lottery retailer and each playslip has 5 panels A-E.
You.ll start by selecting your numbers 1-44 in the play area as well as one Mega Ball number from 1-22 found in the lower area. You can also mark Quick Pick which allows the machine to automatically choose random numbers for you. The balls are chosen one at a time at random during live drawing times and you can win in 8 different ways. You can match all 4 numbers in order or any other order as well as the Mega Ball or you can also match any of the numbers that are not jackpot numbers in winning combinations to win other prizes. If there are no ticket matches, the money rolls over into the next draw time. Once that $2 million mark is reached the amount in the prize pool will roll down to help increase prize payouts on all low tier prizes. Players have the ability to choose to get their portion of the jackpot at one time or they can have it paid out in 20 yearly payments. This option is the amount that.s required on the day the drawing takes place. There are federal taxes that are withheld from winnings once the winnings are paid out and winners have 60 days to claim their winnings as well. 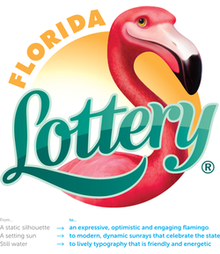 FLORIDALOTTERYX.COM provides comprehensive coverage of Florida lottery including latest drawing results, past winning numbers, lottery news, payout information, jackpot analysis and a series of lottery number analysis tools, combination generation tools, including Intelligent Combos, Power Picks, Win Checker, Lotto Wheels, Overdue Chart, Frequency Chart, etc. These tools provide Florida lottery players the edge to win!